Another great week at Asia Divers for CCD dive club. | . Another great week at Asia Divers for CCD dive club. The CCD Dive Club in Puerto Galera with Asia Divers. A big welcome back to the CCD dive club in their tenth anniversary year! CCD has members from Britain, Germany, Sweden, New Zealand and Australia. 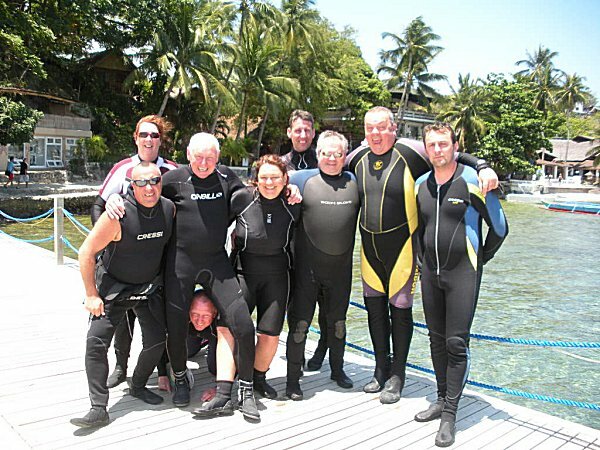 Pictured here are Eamonn, Esther, Otti, Ulli, Pete, Brian, Gordon and Justin as well as Asia Divers and CCD member Pete. This will be their eighth trip to Asia Divers & El Galleon resort and they’ve had a fantastic time once again, diving all our favourite spots including a great trip to Verde Island with BBQ, plenty of massages in La Palm spa, some great evenings out and nearly broken the Point Bar Bell several times. Now that’s a good time! 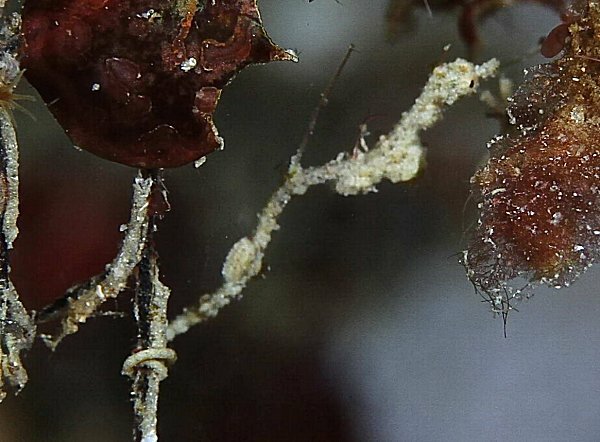 These are shots of the Lembeh Sea Dragon which is only found in Lembeh supposedly, but we found it right here! YES…HERE!! Thanks to Rogger Won for his keen eye in spotting it and getting these pretty little pics of something that we have never seen here before. COOL!! 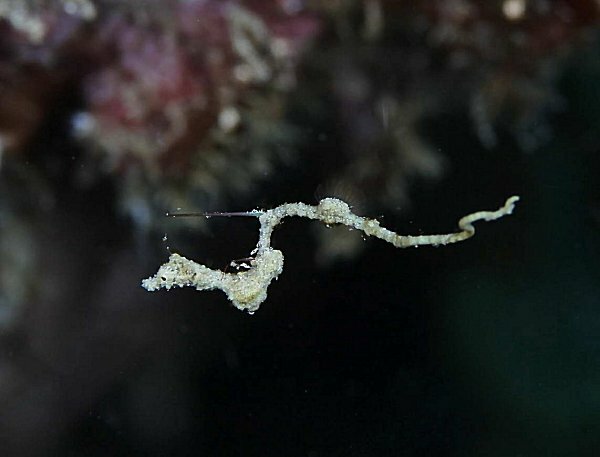 The Lembeh Seadragon (Lembeh Pygmy Pipedragon, Kyonemichthys rumengani) is a recently discovered species that has been seen for the first time in Lembeh Strait in 2006. It belongs to the Family of seahorses and pipefishes and is closer related to them than to the actual seadragons that are known from Australia. But the Lembeh Seadragons got their name because of their special way of swimming, which reminds much of the Australian Seadragons. Lembeh Seadragons live in pairs (sometimes up to 10 pairs in one area) and are usually hanging with their tails attached to overhanging walls and crevices. Before Sunset they can be seen free swimming and courting. They are extremely thin (about 1mm) and grow to about 3-4 cm in length.